Long Distance Moving can be a painful process due to its large scale, the distance, time, cost, and inconvenience. And when it comes to hiring professional moving companies, it becomes imperative to choose a mover that has hands-on experience with long distance moving. Naturally, the criteria for choosing a long distance moving company differ from a local moving company. It is often thought that long distance moving companies are high on cost and they ideally refrain from providing a competitive pricing. However, this is far from the truth. The idea behind choosing the right moving company is the same as selecting a local moving company. Simply obtain your free quotes, compare the different moving companies, check reviews, make inquires, be acquainted with the pricing, and make an informed decision. 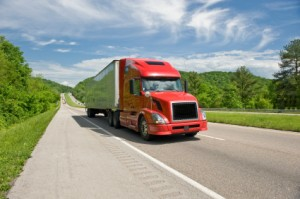 Often, people prefer one way truck rental for long distance moving. While this may seem to be a great idea, it may go against you. The major factors that will contribute to the cost and may burn a hole in your pocket will be fuel and mileage. Remember, how the distance is not in your favor. Assuming that most of you have not driven a heavy vehicle before, there is always a risk associated with elevation, narrow roads, and carrying heavy items. A credible long distance moving company will provide you with professional drivers who will take utmost care of your package. These drivers are well trained for unexpected situations and factors that could hinder the moving process. 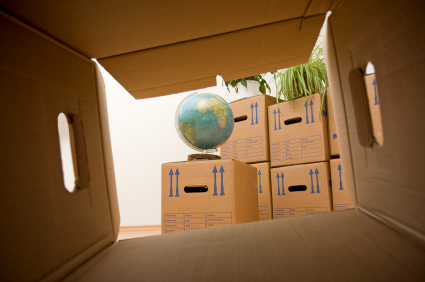 One of the most critical parts is the quality of packaging provided by professional long distance moving providers. They make it safe for you, having hands-on experience in this. This is preferable as against self-packaging, which is risky. Inadequate preparation could lead to damaged goods in transit and unimaginable frustration. It is necessary to go through different utility services and providers and make the necessary arrangements to either discontinue or transfer over these services to your new home. Inquire about any setup or connection charges you should be aware of. Some providers typically charge more for disconnection fees, so you can potentially save by opting to transfer. Make sure your electricity is on at your new home by talking with your utility provider in advance. Do not forget to inform your local post office of your new mailing address and to set up a forwarding service for any mail you may receive at your former home while you are moving. Also, make sure all of your important documents are in order, such as your medical and dental records. The most critical consideration while choosing a long distance moving company is a means of open communication. No doubt, you love that favorite TV or piano of yours and you would certainly think twice before giving it to someone let alone hiring a professional to carry and move your piano or anything that you love. Therefore, an open means of communication acts as a progress tracker to ensure that your goods are safe and would reach on time. Make sure you obtain a tracking code or progress updates via the Internet. Most credible long distance moving companies provide full tracking services via the Web. Keep in touch with the driver to make sure that the package reaches on the time and that you get the most out of your long distance moving company service. If you plan to move to a different state, be sure to research the different state regulations that may apply to your possessions, lifestyle, and occupation. For example, if you plan to transport your automobile to your new home, you may want to look up the state's vehicle safety standards and car registration deadlines. Property and income taxes are also important; you can find more information through the State Government website. Another important consideration to keep in mind is weeding out your undesirables in order to make more room and make less clutter. Host a yard or a garage sale to recoup some of your moving expenses. You can also donate your leftovers to charities. While the whole process may seem overwhelming, no doubt it is tiring or maybe near to impossible if done by you. However, hiring a professional long distance moving company will fetch you the best return for the money. This is where Got Movers will help you out. Simply compare quotes free or call us today to start moving!